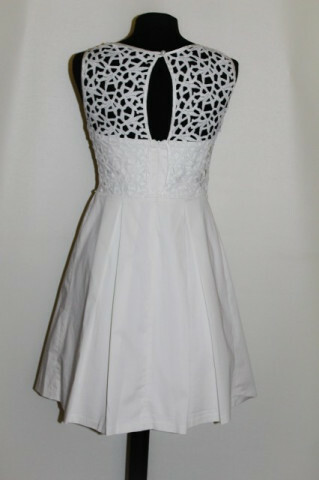 Rochie din poplin alb (96% bumbac , 4% elastan) si dantela guipure. Se inchide la spate cu nasture si fermoar lung. 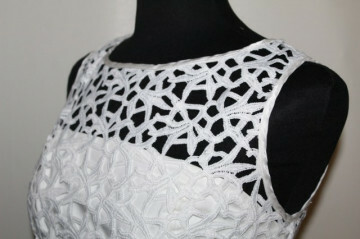 Bust dublat cu poplin in mai multe straturi, tip corset lejer. Fusta cu pliseuri late. Jupa din batist alb, cu un volan din tuille. Emblema metalica cu logo cusuta lateral in talie. Articol original. Masuri: gat - 57, bust - 90, talie - 70, sold - 118, lungime - 83. Pe eticheta: 36. 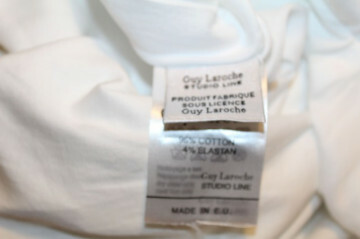 Echivalare: S.
Brand: Guy Laroche / Franta. 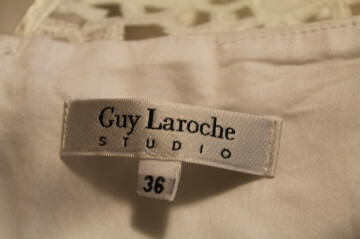 Despre: "Guy Laroche (1923-1989) began as a milliner, first working in Paris, then in New York. He returned to Paris in 1949 and worked as an assistant at Jean Desses for about eight years. In 1957, he opened his own couture house, with the first show being staged in his own apartment. 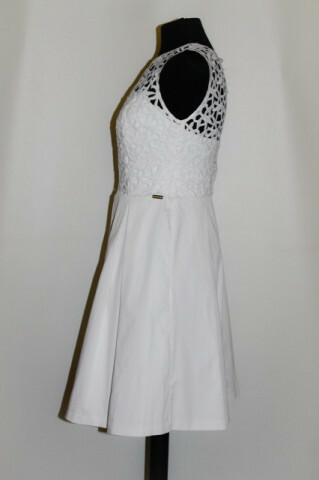 In 1960 he added a ready-to-wear boutique label. 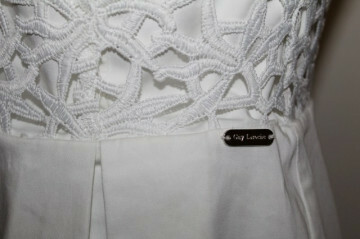 Laroche was known as a masterful cutter and tailor. Laroche died in 1989, and was succeeded in 1993 by Michel Klein, who designed ready-to-wear under his own label, while creating haute couture for the house of Laroche. He was followed by Alber Elbaz in 1997. From 2004 through 2006, the designer was Herve Leroux (previously known as Herve Leger). 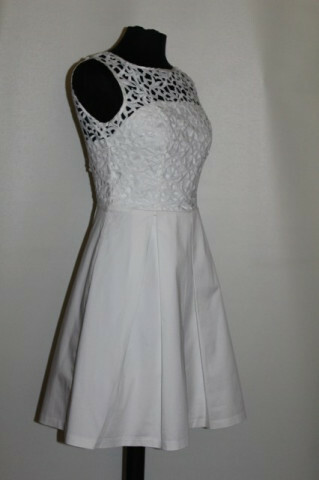 Today the designer at Laroche is Marcel Marongiu.